​Tottenham Hotspur manager Mauricio Pochettino remains unsure whether midfielder Dele Alli will be fit to face Manchester City in their Champions League quarter final second leg on Wednesday. Alli broke his right hand in the first leg and missed this weekend's game at home to Huddersfield Town. Pochettino will be anxiously waiting to see how Alli comes through training this week with Spurs already missing star striker Harry Kane for the rest of the season. As reported by the Daily Mail, Pochettino said on Saturday: "We’ll see with Dele. I’m not sure. He is doing some training sessions (with a protective cast) and needs to be comfortable. "It’s a bit painful. He broke a bone in two places. It is still not clear. We will have to assess next week." Despite missing both Alli and Kane it did not affect Tottenham at the weekend as they comfortably swept aside Huddersfield 4-0, with Lucas Moura getting his first hat-trick for the club. 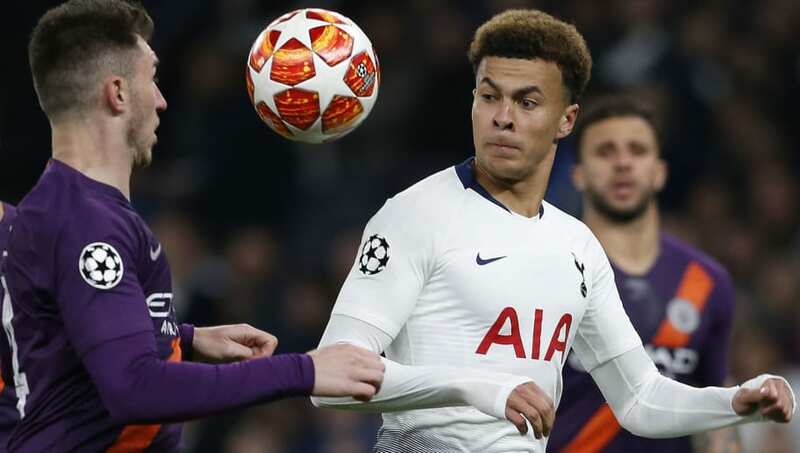 It was the perfect preparation for Spurs ahead of a vital week as they seek to secure a place in the Champions League semi finals as well as remain in the Premier League top four. Pochettino was understandably delighted with his players, saying after the match: "I am so happy. We have a very tough period ahead against Manchester City and then Brighton (on April 23) and we need all players fit and with confidence. "We are close to achieving all things we plan." Despite their injury problems Spurs will be confident that they can go to the Etihad Stadium and maintain the lead given to them by Son Heung-min on Tuesday night. However, they will certainly feel they have a better chance of progressing with Alli in the starting XI.